Central OH Real Estate Investment Opportunities are as partners on deals, to purchase wholesale properties, if you’re looking for an alternative investment. See what other investors have to say. Looking To Participate in a Passive Investment, To Earn Solid Returns On Your Hard Earned Dollars? Central OH Real Estate Investment Opportunities Await with Columbus Area Real Estate! Central OH Real Estate Investment Opportunities with Higher Returns! Fill out the short information form below . to learn about the Central OH Real Estate Investment Opportunities we offer. see if there’s a fit. Central Ohio Real Estate Investment LLC – is a great source for Columbus Real Estate Investors to find great discounted and investment property in the Columbus OH Market. 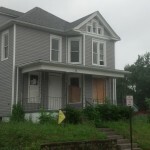 Central Ohio Real Estate Investment LLC has forged relationships with Realtors, Attorneys, Lenders, and Sellers that have distressed unwanted properties that must be sold. Central Ohio Real Estate Investment LLC buys these properties between 30% to 60% below market prices of the neighborhood, does the rehab and then markets the property to investors like yourself. 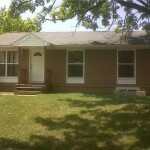 Central Ohio Real Estate Investment LLC uses licensed bonded insured professionals throughout the transactions. All Columbus Ohio Real Estate is bought and sold with our broker Ditter & Associates. All closings occur with our title company. All properties have title insurance (unless disclosed upfront) and all monies are put into escrow at title company or at Ditter & Associates brokerage escrow account. This company policy insures the transactions go smoothly and everyone in the transaction is protected. All our Columbus Property Management is handled in house. Central Ohio Real Estate Investment LLC offers Central OH Real Estate Investment Opportunities in the form of big discounts on the purchase of Central OH Real Estate; our main focus is on your return on investment. In order for us to commit to that goal we need about 30 to 40 minutes of your time. So we can find out how we can tailor fit Central OH Real Estate investment opportunities to your portfolio. This is not a solicitation or offer of securities. Investment in Central Ohio Real Estate Investment LLC is offered only to qualified investors through a written Investment Agreement or Private Placement Memorandum. Interested In Learning More on the Central OH Real Estate Investment opportunities?